Maybe you are or someone you know is extremely shy and you might be asking yourself whether this behavior is comparable to social anxiety. It is difficult for most people to understand these conditions since they usually assume they are same. Well, people need to understand that these two are very different from each other. However, a person who is immensely shy may or may not have social anxiety disorder. Confusing? Read along to better understand the difference between these two. In most cases, a person who is extremely shy may manifest physical symptoms, feelings of inferiority and worried how people judge them in general. They have the tendency to withdraw from situations that require social interactions. However, this behavior does not necessarily affect a person’s life choices compared to people who have social anxiety. According to Dr. Thomas Richards, a Psychologist and director of Social Anxiety Institute – Social Anxiety is the fear of social situations and the interaction with other people that can automatically bring feelings of self-consciousness, judgment, evaluation and inferiority. A person having this anxiety, fear social circumstances and avoid it as much as possible because they are afraid that they might do something embarrassing or humiliating leading to scrutiny and criticism from others. Most of the time, they are aware of this behavior and regards the fear as excessive and unreasonable. Social anxiety significantly affects the person’s normal routine, especially when it comes to work and relationships with other people. It is all-consuming and greatly affects how a person thinks, talks and behaves. This condition becomes a vicious cycle disrupting their whole being and more often than not, it leads to severe depression. In some studies, some people diagnosed with social anxiety disorder do not define them self as shy, some of them are friendly and talkative. In fact, some of them are sociable, but they feel suffocated and stuck with anxious thoughts, feelings and negative habits. Thus, shyness is not a pre-requisite for social anxiety disorder. Certain criteria are used to diagnose whether an individual has social anxiety disorder or just mere shyness and a lot of studies were done to distinguish the two. Here is a summary of some of the distinct differences between shyness and social anxiety. Shyness is inhibition, anxiety or lack of willingness to interact socially and nervousness about how other people judge them. But they are able to face and interact with others and their trait does not affect their life choices. 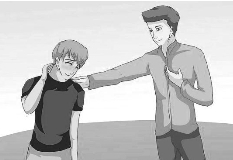 Social anxiety is categorized as having an extreme fear of humiliation and embarrassment to the point where a person with this disorder avoid social circumstances or endures them with high level of distress. Shy people live a normal life and do not view their trait as negative. People with social anxiety view their condition as excessive and unreasonable and greatly affect their lives. In severe cases, it may even cause panic attacks. Shyness can advance to social anxiety, depending on an individual’s coping mechanism. Extreme shyness can lead to a vicious feedback loop causing severe fear of social interactions. When it comes to this point, no matter how friends and family try to say encouraging words, it will be ineffective not unless the person gets help from a professional who can give cognitive-behavioral therapy. This kind of therapy can help an individual recognize the core of social anxiety and assist him how to face fears and overcome it. Jade Sison. 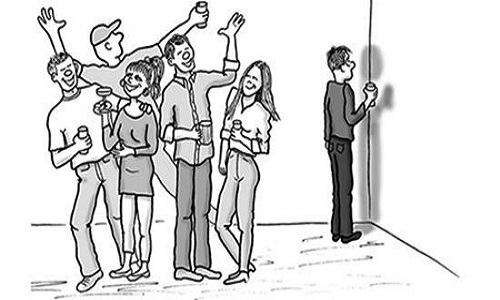 "The Difference between Shy and Social Anxiety." DifferenceBetween.net. June 11, 2015 < http://www.differencebetween.net/science/health/the-difference-between-shy-and-social-anxiety/ >. Very nice article explaining the difference between shyness and social anxiety. Lot of people experience social anxiety and other mental disorders related to it. As told in the article learning healthy ways to cope with social anxiety is the only way out.